Global foodservice contractor Aramark on Tuesday announced an investment in 10-unit Oath Pizza with the goal of accelerating growth on college campuses, in hospitals, sports venues and corporate cafes. The move is unusual for Aramark, which typically enters into licensing agreements with national brands, like Starbucks or Chick-fil-A. In this case, Aramark entered into an exclusive, strategic partnership with Oath Pizza as a new, niche brand that could be scaled across its portfolio, said David Freidreich, a spokesman for Aramark. Terms were not disclosed and Aramark declined to characterize the investment. 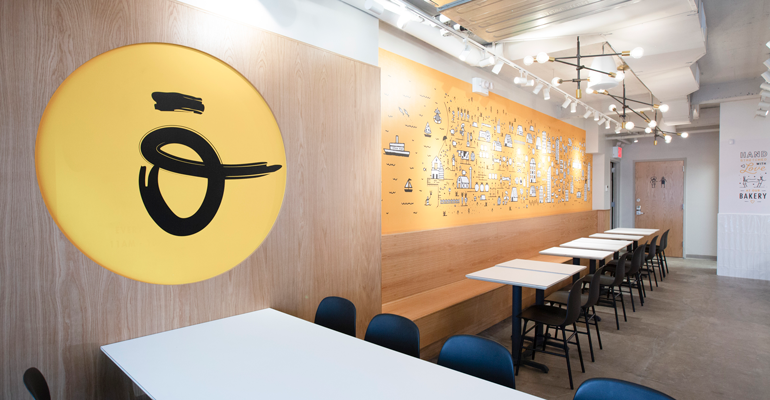 The foodservice giant led a Series C equity fundraising round for Oath Pizza in April. Founded in 2015 in Nantucket, Mass., Oath Pizza is known for its signature thin-crust pizzas that are grilled and seared in avocado oil. 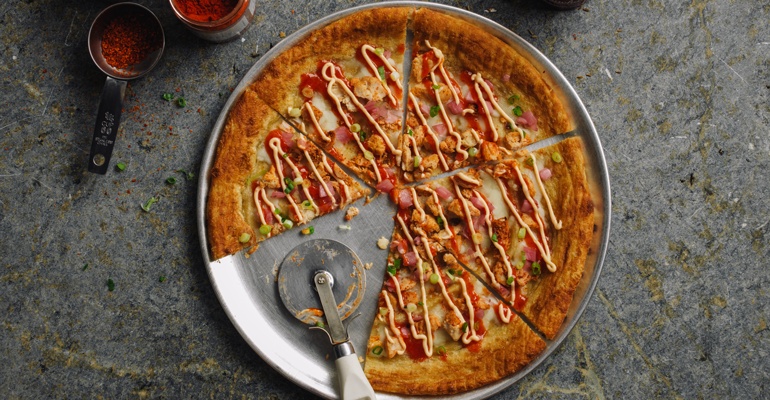 The chain is certified humane by the third-party nonprofit Humane Farm Animal Care, and the menu includes pizzas “made without hormones, artificial preservatives or antibiotics,” the company said. Oath Pizza has locations in Boston, Washington, D.C. and New York. Under the partnership, Oath has already opened six corporate and healthcare locations with Aramark, with 10 more Oath Pizza outlets coming to college campuses over the next month around the country and “many more” in the pipeline, bringing the brand to 13 states, Oath officials said. The chain has also launched a franchising program. And Oath also plans to continue opening units outside Aramark-run locations, including new units scheduled to open on the Upper West Side in New York, and in Ardmore, Pa.